The 45-day New Zealand Traverse self drive is like no other. Taking you well and truly off the beaten track, this trip features multi-day, lodge-based hikes on some of New Zealand’s most famous Great Walks tracks, including the Abel Tasman, the Routeburn, and the one-day Tongariro Crossing, described by National Geographic magazine as one of the best day hikes in the world. Other highlights include glacier heli-hiking, wildlife encounters, winery cycling, and an unforgettable overnight cruise on Doubtful Sound. You can practically call yourself a Kiwi after this trip. Welcome to New Zealand! 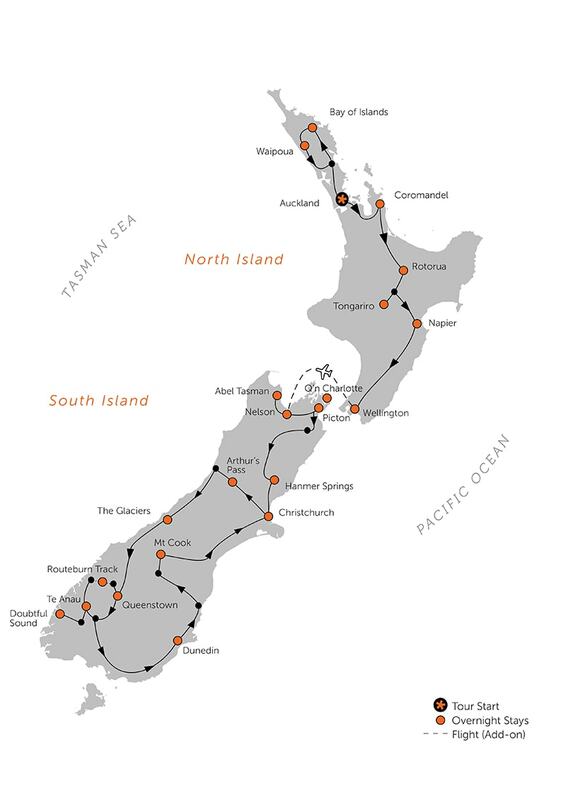 You will be transferred to your accommodation in central Auckland, where a Black Sheep team member will meet you to take you through your tour documentation and explain the rental car collection process. The remainder of the day is free to recover from your journey and to explore the city. Drive to the remote and scenic Northland region, home to the beautiful Bay of Islands. Accommodation for the next three nights is in the peaceful seaside town of Paihia, gateway to the Bay. Your notes will point you to worthwhile stops along the way. 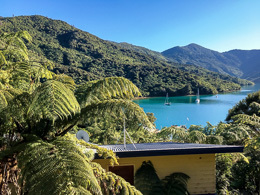 Today, consider a sailing cruise amongst the islands, go marine-life-spotting and explore intriguing coastline via launch, swim with resident bottle-nosed dolphins (in season) or take a scenic flight and visit the lighthouse at Cape Reinga, New Zealand’s northern most point and a sacred place to Maori. Your Travel Shepherd can advise on optional activities and pricing. Visit the charming historic hamlet of Russell across the bay. View some of New Zealand’s oldest buildings and enjoy its waterfront cafes. Back in Paihia, take an optional tour of the culturally significant Waitangi Treaty Grounds, view a Maori cultural performance and learn about early Maori and colonial settlement in this cradle of New Zealand as a nation. 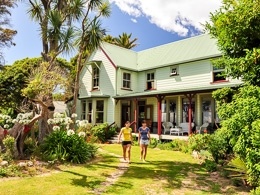 An original homestead overlooking the vast canopy of the Waipoua Forest. Luxury suites are located in historic farm buildings set amongst extensive gardens. Focus is on both warm hospitality and access to this breathtaking conservation area. Depart the Bay and travel west to the scenic Hokianga Harbour. 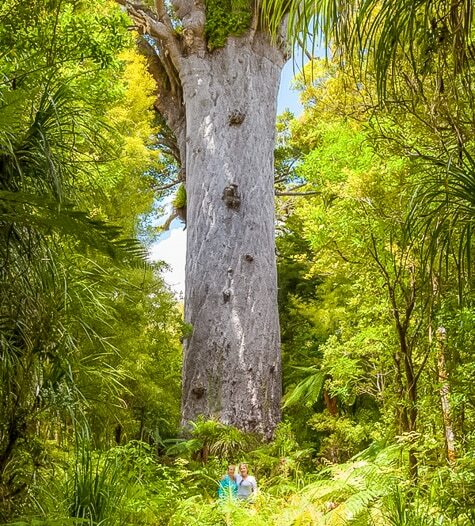 Along the way, visit historic Kerikeri and guide yourself on waterfall walks or amongst arborial giants in the Puketi Forest before settling into your lodge overlooking the Waipoua Forest, home to Tane Mahuta, New Zealand’s largest living kauri tree. After a leisurely morning around the lodge, explore the outer Hokianga area with its pristine beaches and giant sand dunes. Tonight, join a guided twilight tour of Waipoua Forest to experience the affinity that early Maori had with the forest and the deep spiritual respect they hold for the giants still growing there. Bid Northland farewell and return to Auckland with an optional scenic stop along the way. Just north of the city, on the ruggedly beautiful west coast, is one of New Zealand's largest gannet colonies. Detour for a close-up view of these wonderful birds as they court, breed, and nest. A boutique lodge nestled in native bush overlooking its namesake, Lonely Bay. The lodge is just a short stroll from Cooks Beach and a short ferry ride to the seaside town of Whitianga. Depart Auckland and head for the lush and peaceful Coromandel Peninsula. Take a self-guided hike along the coast to a secluded cove featuring beautiful sandstone formations. Your lodging for the next two nights is nestled in native bush just minutes’ walk from a beautiful white-sand beach. Explore the peninsula today: stand beneath the world’s largest ferns, visit a unique rainforest railway, follow a snorkel trail in a marine reserve, experience the phenomenon of Hot Water Beach, or swim at beautiful sheltered bays. Head south via the historic gold mining town of Waihi to Rotorua, a cultural centre for Maoridom and an active volcanic region. Maori culture, spa rejuvenation and adventure activities, including some of the country’s best mountain bike trails, are on offer here. Explore some of the regions dynamic geothermal features with an array of optional activities, including visiting colourful geothermal valleys; boating or taking a heli-flight to active White Island volcano; or flying over the volcanic rift of Mt Tarawera. Other options such as walks, kayaking, golf, fishing, biking and more are available. 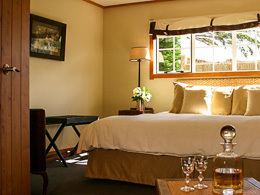 An elegant hotel in the heart of Tongariro National Park. This iconic hotel offers wonderful access to the many walking tracks within this Dual World Heritage area and is a sumptuous, restful retreat at day’s end. Depart Rotorua and journey south to Tongariro via Lake Taupo, New Zealand’s largest lake. 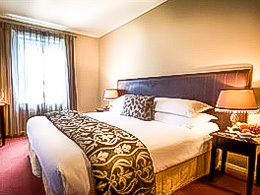 Consider calling in to the mighty Huka Falls on route, then carry on to Tongariro National Park and your accommodation at the stately Chateau Tongariro. 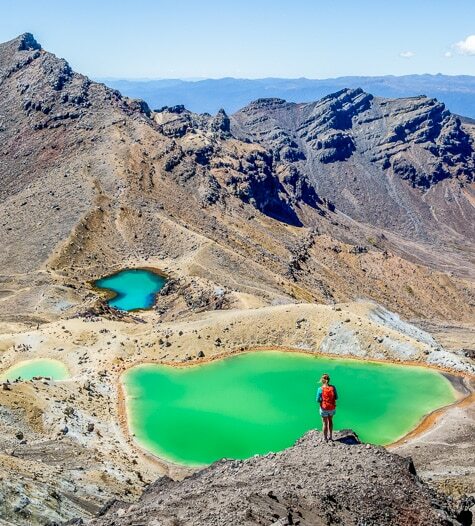 Today, take one of New Zealand’s most scenic day hikes: the Tongariro Alpine Crossing. Walk in a majestic landscape dotted with volcanic craters, scoured volcanic rocks, mountain springs, and brightly coloured emerald lakes. Return to your lodge for a well-earned rest and reflect on your day. 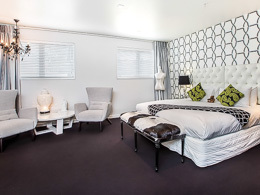 A stylishly refurbished heritage hotel on Napier’s picturesque waterfront. 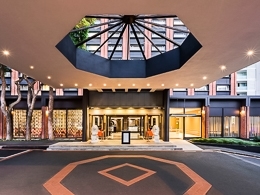 The hotel’s décor harks back to its original, opulent art deco style. Modern luxuries and its prime location make it a perfect base. Depart Tongariro and descend from the volcanic plateau to the plains of bountiful Hawkes Bay. This is the country’s oldest wine region, renowned for award winning wines and fresh local produce. Settle in for your two-night stay in the city of Napier, world-famous for its Art Deco architecture. Spend the day exploring the region. Drive to the top of Te Mata Peak for stunning views of the area, hire a bike and follow the network of cycling or wine trails, take an Art Deco walking tour, or visit the Cape Kidnappers gannet colony. Details are included in your self-drive packet. Journey south through forestry and sheep farms, vineyards and market gardens along the Wairarapa’s wide river valleys. Deviate to charming Martinborough for an included pedal and picnic amongst the vines on your way to Wellington, New Zealand’s picturesque capital city. The day is free to explore Wellington’s many attractions. View the extensive displays at Te Papa, New Zealand’s impressive national museum; tour Parliament; ride the historic cable car to the Botanic Gardens; or stroll through the nature preserve of Zealandia. Dine at one of many amazing restaurants recommended in your notes. The morning is free to explore Wellington further before dropping your car at Wellington Airport and flying to sun-drenched Nelson in the South Island (note, flight is additional). You will be transferred on arrival to your centrally located hotel. A faithful re-creation of the Wilson family's original 19th century home, rebuilt with modern comforts. 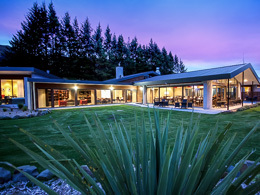 A warm kiwi welcome awaits you at this lodge located on the “finest site in Awaroa Bay”. 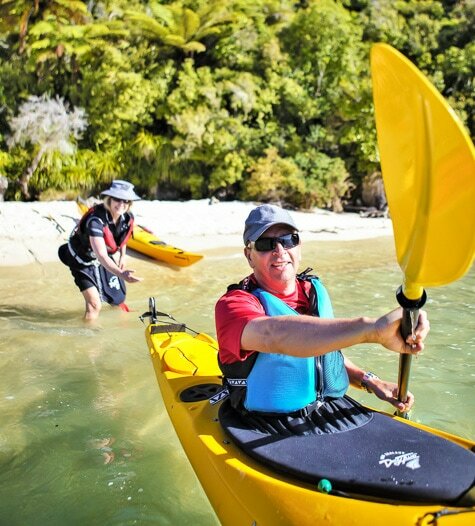 Today is the start of an unforgettable, three-day Abel Tasman National Park hiking and sea kayaking adventure. Coach from Nelson to the launching point of your scenic cruise into the park. Land at a beautiful crescent beach for your walk through native forest to your lodge overlooking the breathtaking expanse of Awaroa Inlet. A comfortable beachfront lodge with the relaxed atmosphere of its family holiday home origins. Delicious meals, an in-house bar and a golden beach at your doorstep make this a perfect place to unwind. Wake to breakfast overlooking the gardens and the ever-changing views of the inlet. Walk with your guide to the golden expanse of Onetahuti Beach then paddle to Torrent Bay, through Tonga Island Marine Reserve, exploring hidden inlets along the way. Wake up to morning light on the bay and perhaps a coffee on the deck before a hearty home-cooked breakfast to set you up for another day of scenic paddling. 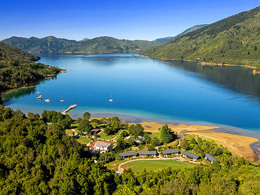 Depart the Abel Tasman and return to the Airport to pick up your rental car for the South Island portion of your self-drive tour. Nelson has it all. Great weather, a lively arts and crafts community, excellent cafes, wineries, craft breweries, beaches, mountains and three national parks nearby. We recommend a drive through the Ruby Coast area which offers vineyards, artisan food producers, artists and delightful cafes. 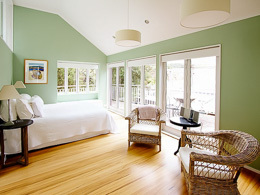 Boutique accommodation in a gracious Victorian villa set amongst formal gardens and native forest. Elegant apartments reflect the charm of the era in one of Picton’s original colonial homesteads. 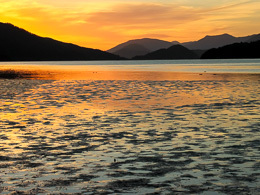 Journey east to Picton, the departure point for water taxis into the Marlborough Sounds. Explore this charming seaside town or visit the renowned Marlborough wine region before your pre-hike briefing this evening. 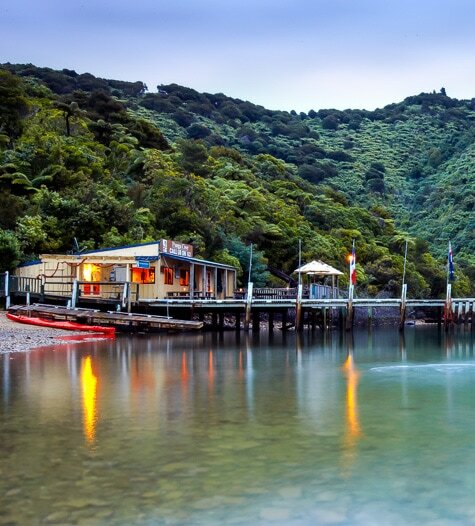 A relaxed, welcoming lodge perched on the shore of scenic Endeavour Inlet. No roads lead to this remote retreat, ensuring a peaceful stay, removed from the world. A water taxi takes you to Ship Cove where your walk begins. This historic reserve was a favourite anchorage for Captain Cook during his explorations in the 1770s. Experience virgin beech forest at its best plus stunning views of the Queen Charlotte Sound as you begin the first leg of your journey. 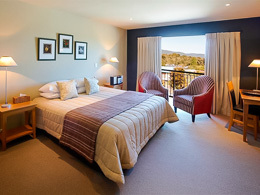 A laid back resort surrounded by native bush with stunning vistas of the Sounds. Explore the coastline in the resort’s sea kayaks or just enjoy a meal and drink on the jetty, surrounded by panoramic views. Today’s coastal walk takes you around the inlet through regenerating native bush. Enjoy the call of bellbirds, tuis and other native birds as you hike from bay to bay on your way to your evening’s resting place at Punga Cove. 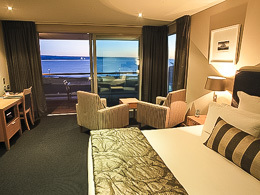 A comfortable stay nestled within the folds of Kenepuru Sound. 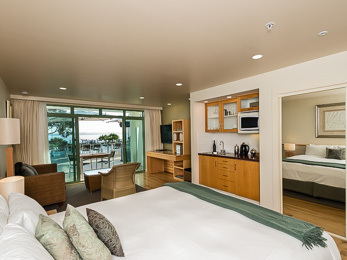 Warm Kiwi hospitality, waterfront dining and warm, comfortable rooms overlooking the sound provide a welcome oasis after your day’s hike. It’s a challenging day on the ridgeline, but you’re rewarded by truly grand vistas around every corner. Those who feel like a day’s rest can opt for an optional boat ride around the bays of the Queen Charlotte Sound to your destination. Farewell your lodge and ascend to the ridgeline once again, enjoying stunning views. Open farmland and a lush native bush section is the finale before you rendezvous with your private water taxi for your transfer back to Picton for a well-earned rest. 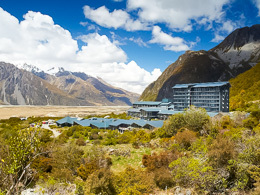 A luxury spa resort set amongst beautiful alpine scenery a short drive from Hanmer village. 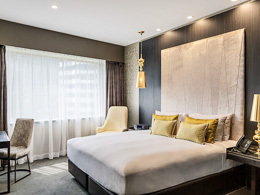 Suites feature sumptuous furnishings and restful views over the Hanmer Basin. An onsite restaurant and spa facilities mean you might never want to leave. Journey south to the picturesque alpine village of Hanmer Springs, the South Island's thermal spa resort. Enjoy an array of therapeutic pools interconnected with thermal streams set amidst alpine scenery or indulge in a spa treatment at your luxury lodge. Hanmer also has a great variety of mountain bike and walking trails, a golf course, and more. 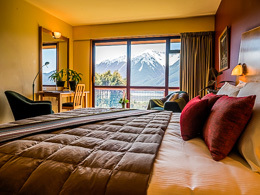 Continue your journey through the Canterbury region to your luxury lodge situated near the highest pass in the Southern Alps. The lodge, sited on its own 4,000-acre high-country sheep station and nature reserve, is a wonderful base from which to explore the area’s unique features. Immerse yourself in high-country ecology with the lodge’s guided activities and exploring its network of mountain, river, forest, and farm trails. Enjoy a restful evening stargazing beneath the southern sky, browsing in the lodge’s well-stocked library or just enjoying the mountain views whilst savouring memories of your four-course dinner. Witness a dramatic change in scenery as you descend from Arthur’s Pass to the West Coast. Upon reaching the coast, it’s a spectacular drive to New Zealand's glacier region. View Franz Josef Glacier, then travel to the sister village of Fox and settle into your alpine accommodation set on the edge of old-growth rainforest. This morning, take a half-day heli-hike on the glacier, exploring ice pinnacles and crevasses, surrounded by snow-capped peaks. Spend the rest of the day exploring the region with glacier, lake and rainforest walking and cycling tracks. It’s a spectacular drive through the Mt Aspiring National Park to Queenstown. Your notes will identify scenic stops and hidden walks along the way. Pause in Wanaka then drive over the awesome Crown Range. 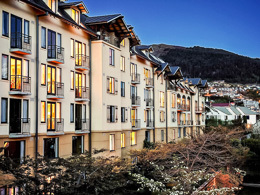 In Queenstown, settle into your hotel overlooking Lake Wakatipu before hitting this vibrant town. There’s no better place than Queenstown to fulfill that bucket list. To get you in the spirit of a little derring do, we’ve included a thrilling ride on the iconic Shotover Jet through the scenic Shotover River Canyon. The rest of the day is free to enjoy as you choose before your pre-hike briefing this afternoon. A private lodge set in the natural amphitheater of the Lake Mackenzie basin. Refreshments, a hot shower, delicious three-course meal, bar, wonderful staff and a comfortable bed await. 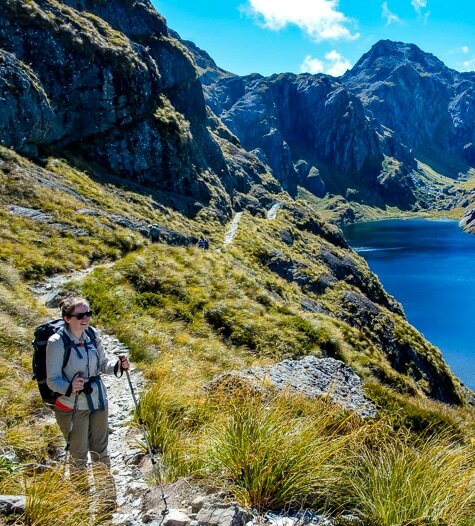 Today is the start of your 3-day hike on the renowned Routeburn Track, a New Zealand Great Walk. Coach from Queenstown to the Divide on the scenic Milford Road and begin your gradual climb on a well-formed track. Take an optional ascent to Key Summit and pass waterfalls and alpine lakes on your way to your lodge set in the Lake Mackenzie basin. 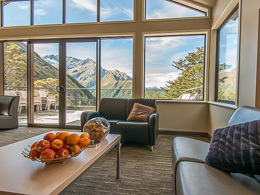 A private lodge set in spectacular setting next to the Routeburn Falls. After lodge staff welcome you, consider a refreshing plunge in the river before a hot shower, a special dinner and an inviting bed. Climb through ancient forest draped in moss and lichen and ascend above the treeline for vistas of the Darran Mountains and the Hollyford Valley, which cuts through Fiordland to the distant Tasman Sea. 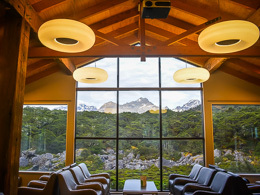 After lunch at the Harris Saddle, walk around Lake Harris and descend into the upper basins of the Routeburn Valley to the beautifully located Routeburn Falls Lodge where you will be treated to a special dinner. Descend to the alpine pastures of the Routeburn Flats. The track shadows the river as it roars through a magnificent gorge. Your guides will find the deepest green pool for you to picnic beside. From here it is a gentle walk through the beech forest to the trail end. A coach will take you back to Queenstown to settle back into your hotel. Travel from Queenstown to Te Anau, the starting point for your Doubtful Sound overnight experience. Coach to nearby Lake Manapouri and cross its crystal waters, joining another coach for your ride over Wilmot Pass to the fiord. 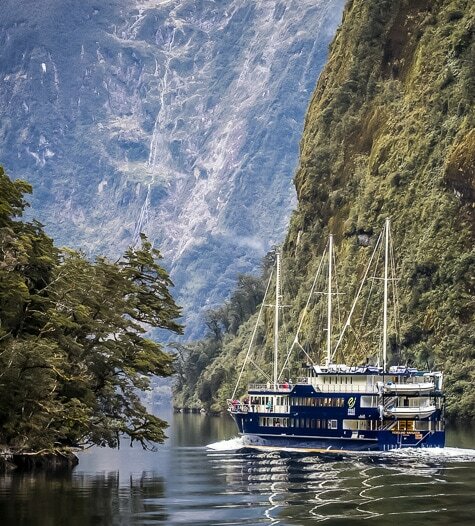 Board your vessel and cruise the length of the fiord, watching for wildlife with your onboard nature guide. Return to a sheltered cove to anchor for the night and absorb the overwhelming beauty all around. 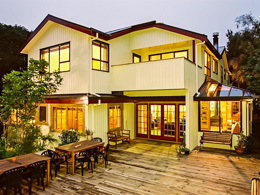 A Classic Stay property primely located on the lakefront, a short stroll from Te Anau town centre. 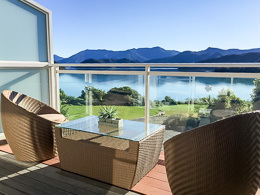 Extensive gardens, a pool, sauna and spa, comfortable rooms and views across Lake Te Anau and the Fiordland ranges make for a restful retreat. 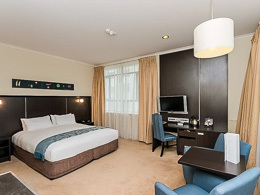 Tours classed as Premier Stay include a room upgrade. 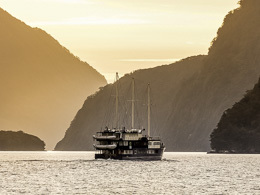 This morning, wake to a hearty breakfast as you cruise back to land, rare witness to a Doubtful Sound dawn. 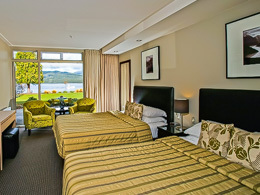 Return to Te Anau and settle into your hotel for a relaxing afternoon in this peaceful lakeside town. Your notes will identify lakeside walks and other options. A stately hotel located in the heart of Dunedin. 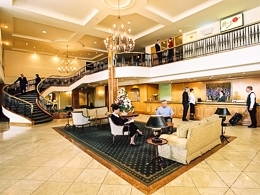 The circa 1880’s building offers historical charm outside with modern facilities within. Restaurants, shops and entertainment are at your doorstep. This morning, journey to the university town of Dunedin. We recommend the scenic route via the remote and beautiful Catlins region, an area undiscovered by the touring masses. Wilderness beaches, waterfalls, marshland, lakes and rivers provide non-stop scenery on this route, as well as the chance to view seals, sealions, Hector’s Dolphins, penguins, a petrified forest and more. 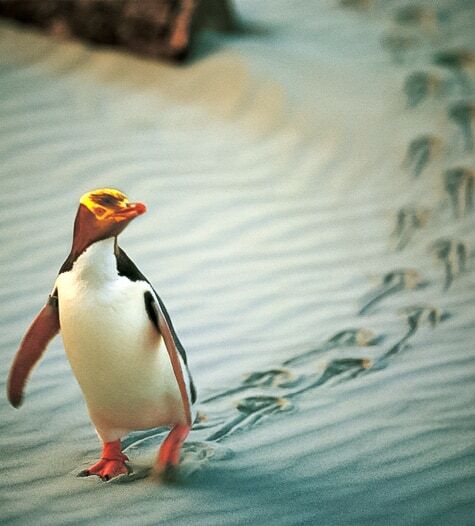 Spend the day exploring the Otago Peninsula, home to a number of rare sub-Antarctic animal species. Your tour includes a visit to the Royal Albatross breeding colony and a tour to view rare hoiho (yellow-eyed) penguins. Hike the labyrinth of trails that overlook the peninsula and consider a visit to iconic Larnach Castle with commanding views back to the city. Hiking opportunities abound here and we recommend exploring on foot, watching for unique alpine flora and fauna. 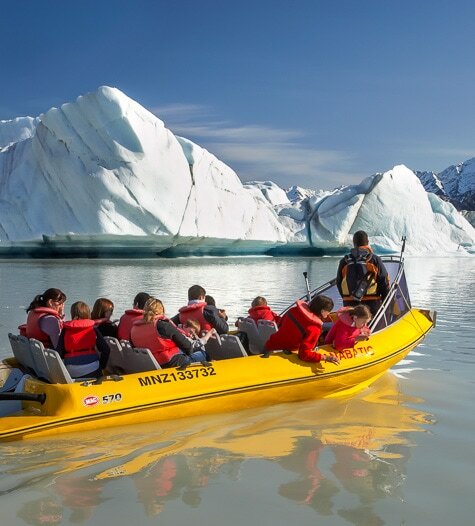 Included today is a fascinating boat excursion on Tasman Glacier's terminal lake. Your guide offers a wealth of knowledge as you pass alongside icebergs to view the dynamic glacier face. This area has some of the darkest skies in New Zealand, perfect for an included stargazing outing tonight. Drive to Christchurch with optional scenic stops along the way. On arrival, head out to see the city sights. Hire a punt on the Avon, visit the Canterbury Museum, stroll through the Botanical Gardens, or tour the inspiring art installations that mask the city's post-quake rebuild. Enjoy your final dinner in one of the city's great restaurants. 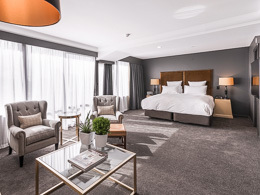 Depending on your flight schedule, spend a leisurely morning in the city before dropping your rental car off at Christchurch Airport and awaiting your flight home. Next door is the worthwhile International Antarctic Centre should you wish to squeeze in one last activity before your reluctant departure.